The UK's smallest local TV service has gone on-air this week, bringing audiences in North East Wales access to ultra-local news, plus programmes from other local channels. Made In North Wales launched on 26th April 2017, providing Freeview viewers within reach of the station's signal from the Moel-Y-Parc transmitter with a minimum 6 hours and 42 minutes of local programming each week, as required by its Ofcom licence. The signal covers Mold, Ruthin and Denbigh making it the smallest local TV service in terms of audience reach and coverage to launch so far. The local TV licence for Clwyd was originally won by Bay TV Clwyd, but the operating company behind the station was dissolved earlier this year. Bay TV Clwyd was linked to Bay TV Liverpool, which failed in 2016, resulting in the local TV licence being transferred to Made Television. Ofcom has remained silent about the circumstances and decision-making that paved the way to Clwyd's pre-launch licence changes. The channel will include thirty minutes of first-run programmes in the Welsh language each week. and will work closely with Wrexham-based educational institutions Glyndwr University, Coleg Cambria and media organisations local to the Mold coverage area. "North Wales is a vibrant and beautiful part of the UK and we are thrilled to have the opportunity to entertain viewers living here with programming that will be tailored to their needs." “It is not acceptable that Ofcom has agreed to license the company despite it providing only 30 minutes of original Welsh-language content a week - only 3% of the hours broadcast. Indeed, the percentage of original local programming will be very low as well. We also think it is unacceptable that the programmes will be made in the company’s studios in Liverpool, rather than in the local area the channel serves. It stands to reason therefore that the local community will not benefit economically or culturally from the new service as much as they could." As part of the wider Made Television network, which operates services in cities including Liverpool and Leeds, the channel will have access to a number of syndicated and shared programmes shown across Made TV's chain of channels. 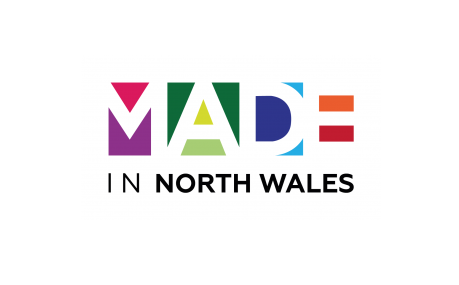 Made in North Wales is Made's second channel in Wales, after Made in Cardiff, which launched in 2014.